This entry was posted in Google Apps Developer Blog and tagged developers, Gmail APIs, Google Apps, io15 on May 29, 2015 by Google Apps Developer Blog Editor. This entry was posted in Android Developers Blog and tagged Android, Design, Develop, Featured, io15, Material Design, Support Library on May 29, 2015 by Reto Meier. The American Precious Metals Exchange (APMEX) is the leading purveyor of precious metals, serving millions of customers worldwide. 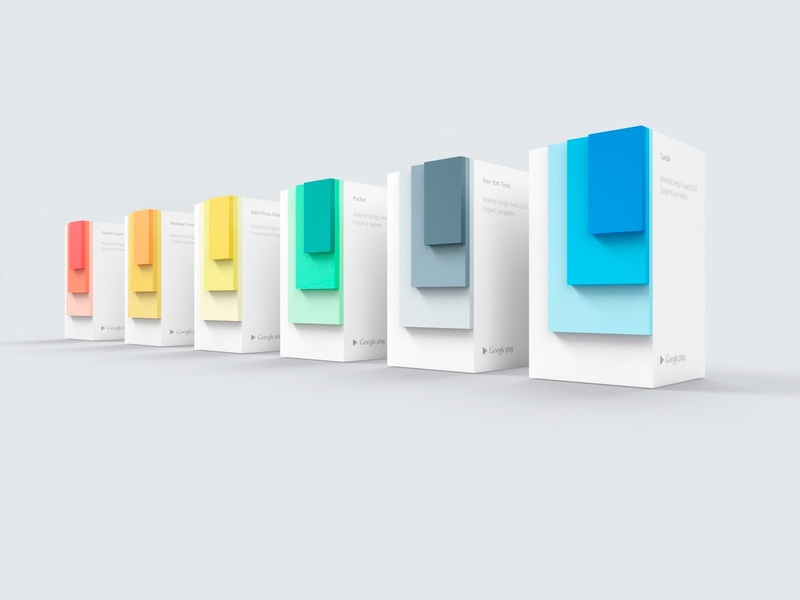 The company partnered with E-Nor, a Google Analytics Premium Authorized Reseller, to better understand the customer journey and gain insights to improve marketing initiatives. The first challenge they tackled was to integrate various data assets by exporting Google Analytics Premium data to Google BigQuery. This was accomplished using both the BigQuery export and the User ID features to connect website behavioral data to the company internal customer profiles. This enabled APMEX to use data more effectively to interact with different types of customers. In addition, by bringing Google Analytics data into the company’s Customer Relationship Management (CRM) system, they empowered their internal teams to make data-informed decisions on a daily basis. For example, when customers call, site usage information is now available to the customer representative talking them. “We have found BigQuery data to be immediately actionable. It focuses our marketing efforts, personalizes our onsite experiences, and improves the effectiveness of our sales department. When used in conjunction with our current data systems, there is seemingly no question about our customers that cannot be answered. It’s that powerful.”— Andrew Duffle, Director FP&A, Analytics & Optimization, APMEX, Inc.
As a result of the work mentioned above, APMEX has decreased the average cost per acquisition (CPA) by more than 20% while maintaining the same level of new customer orders. They have also used Google Analytics Premium data to build a statistical model to target valuable customers earlier in their life cycle. For customers identified in the model, the company has increased email open rates by 58%, email conversion rates by 62%, and revenue per email by 163% as compared to the overall business. To read more about how APMEX and E-Nor used Google Analytics Premium along with BigQuery in order to make more informed decisions, download the full case study. Posted by Daniel Waisberg, Analytics Advocate. This entry was posted in Google Analytics Blog and tagged Analytics, Google Analytics on May 29, 2015 by Adam Singer. Our road trip has just begun and we already have a lot to share about our Code the Road bus. The bus is a mobile showcase of some of our most innovative customers, applications and websites that harness the power of Maps and location. If you’re in San Francisco, stop by Moscone Center where can experience first-hand what we’ll be featuring on the road. The bus is across from Moscone West at the corner of 4th Street and Howard Street—we’re outside the venue, so you don’t need an I/O registration get on the bus, so come down to visit! SUGARBEAR, the name given to the bus by its original owners, is a 1959 PD-4104 General Motors Coach, rebuilt from the ground up in 1978. It measures approximately 35’ long by 8’ wide with a Detroit diesel engine outfitted for bio-diesel. Visitors are able to test-out the Android Auto navigation system first-hand and while on the road we will be utilizing Android Auto to keep us headed in the right direction. Our Android Wearables demo wall includes a giant model watch on our Android robot arm, removable android watches for trying on, and an overview of the wearables features. We highlight six of our location innovator customers and their interactive applications powered by Google Maps APIs. Visitors can demo applications from iFit, PicsArt, Harley-Davidson, Hilton Hotels, The Weather Channel and Walt Disney World Resort. Toward the back of the bus, the Street View Treks demo, complete with a Trekker backpack with Street View camera, gives visitors a hiker’s view of the trails through an 80” monitor with Street View Treks imagery. And, even Street View racoon is along for the ride. Outside of the bus we have a Proform bike and treadmill provided by ICON with the iFit app, powered by Google Maps. Visitors can run on the treadmill in Street View to experience a virtual run through town or trail. We hope to see you on the road to experience the bus first-hand. Visit the Code the Road website to see our up-coming stops and dates. This entry was posted in Geo Developers Blog and tagged developers, Geo on May 29, 2015 by Maps Devel. 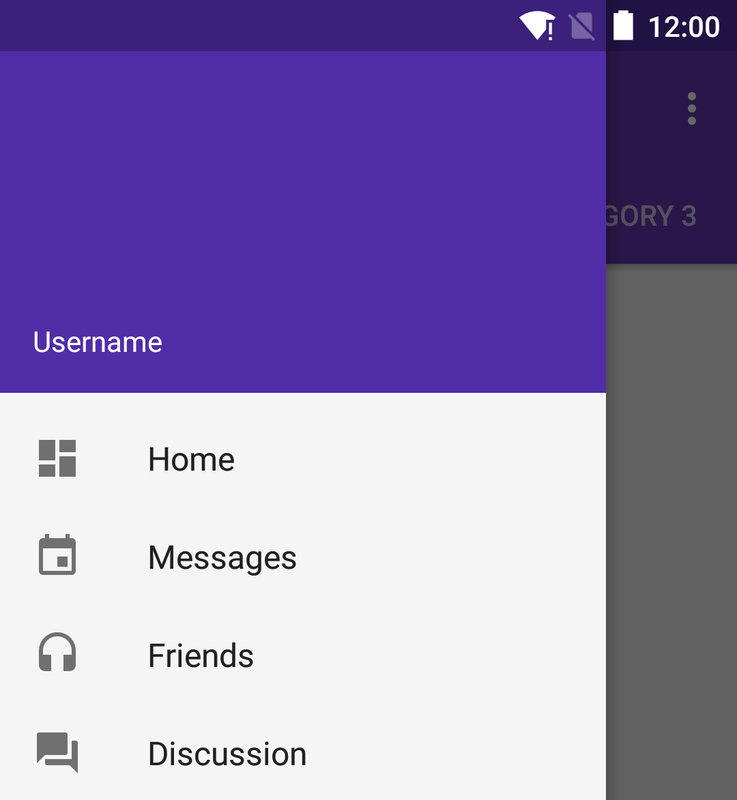 This entry was posted in Android Developers Blog and tagged Android, Design, Develop, Featured, io15, Material Design on May 29, 2015 by Reto Meier. Announcing two new versions of the Google Mobile Ads SDK, plus the Native Ads beta! Today we’re pleased to announce two new versions of the Google Mobile Ads SDK: version 7.5 for Android, and version 7.3.1 for iOS. Included is a brand new way to monetize your apps with the Google Mobile Ads SDK: native ads! With native ads, publishers can display ad assets directly in native views, using layouts and storyboards they design to fit their user experience. 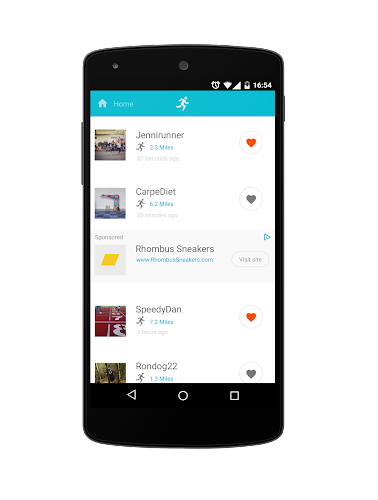 You now have the power to monetize with ads that are seamless with content! Native ads are currently in a beta with a limited group of publishers, but the code is included in the latest releases of the Mobile Ads SDK for iOS and Android. Those of you using Android Studio can download Google Repository (Rev. 19) via the Android SDK Manager to get the latest Gradle artifacts, and developers with Eclipse projects can find it listed as Google Play services (Rev. 25). Publishers with iOS apps can snag the latest SDK for that platform by updating their Podfile to pull version 7.3.1. For AdMob, DFP, and AdX publishers, there are two system-defined native ad formats: App Install and Content. Each provides a set of image and string assets that make up the ad. 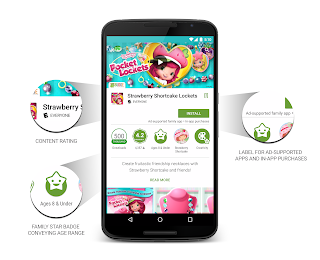 App Install ads contain assets named “price,” “star rating,” and so on, while Content ads have “body,” “logo,” and others. See the AdMob and DFP help center articles for more information about the formats. Publishers using DFP can also take advantage of custom native ad formats. With a custom format, you can create your own set of asset definitions, and then upload creatives with a matching set of values. Check out the native ads guide (Android | iOS) for more information about native ads. 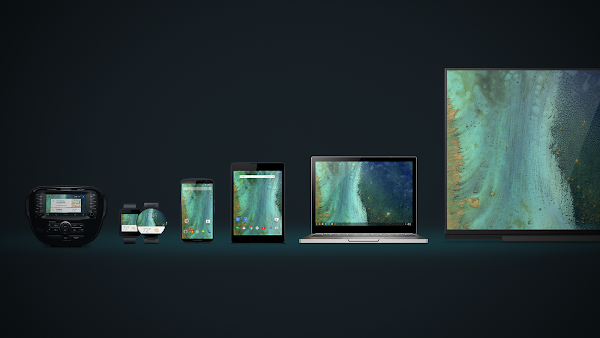 For a full list of Mobile Ads SDK changes, check out our release notes. For technical questions, post them on our forum. This entry was posted in Google Ads Developer Blog and tagged AdMob, Ads, AdSense, AdWords, Android, Developer, dfp_mobile, DoubleClick, ios, mobile_ads_sdk, Native on May 28, 2015 by Google Ads Developer Advisor. This entry was posted in Australia Blog and tagged Australia on May 28, 2015 by Johnny Luu. On the Apps and Games homepages, you can now tap the Family button to browse our new family-friendly experiences. Whether your child is still learning shapes and colors, or is getting into more scrapes than Judy Moody, you’ll find inspiring ideas for every age. What’s more -- top charts, recommendations, and even searches from family homepages are filtered to our family-friendly catalog. For many of us, childhood memories include at least one favorite character: a plucky personality from a book, the superhero from a movie or a beloved stuffed animal. Characters are just as relevant today, and Lego, Barbie and other kids and family brands are some of the most popular searches on Google Play. 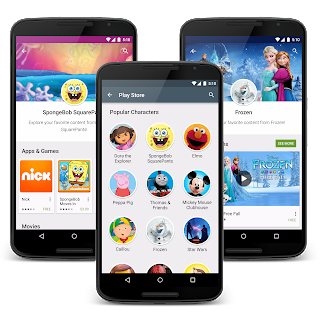 To help you browse Google Play content around a favorite character, we’ve created special pages featuring dozens of top characters from across the globe, like PBS KIDS, Pororo and Peppa Pig. 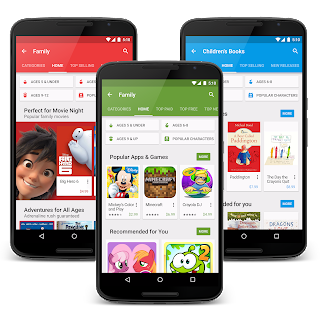 From the Play store app, take a tour through all of our popular characters to find apps and games from your family’s favorites. This entry was posted in Google New Zealand Blog and tagged New Zealand on May 28, 2015 by Johnny Luu.